The Coast Guard today urged people to stay clear of beaches and stay off the water as millions of East Coast residents, from North Carolina to Maine, are recovering from the effects of Hurricane Irene. All Coast Guard small-boat stations secured operations in anticipation of the hurricane and are still surveying their capabilities, according to a statement. As a result, they will have minimal search-and-rescue capabilities until they can get their resources established. Sea Tow officials said this morning that their members seemed well prepared for the storm. “I think people prepared very well ahead of time. From the number of calls we’re getting post-storm, people really heeded the warnings to protect their boats,” chief administrative officer Kristen Frohnhoefer told Soundings Trade Only. In order to ensure its members could call in during the storm, Sea Tow moved its call center from Long Island, N.Y. to Florida, she added. Some areas that seemed to have the most calls for service included Merrick, Long Island, Pamlico Sound and Chrystal Coast, N.C. and eastern Connecticut, they said. Along the Massachusetts coast, residents and boat owners were surveying storm damage this morning. Dozens of boats were littered across beaches, torn from their moorings as Irene hit. Residents said they watched as the storm tossed vessels about in the raging storm surge, WCVB-TV in Boston reported. “We were at the Swampscott Yacht Club and sitting out on the porch watching all the boats leave one by one. You see them break free, turn toward the beach and sail away,” one witness told the TV station. Cleanup was the emphasis Sunday afternoon west of the Pamlico Sound in North Carolina after Irene hit with a storm surge of up to 7 feet. 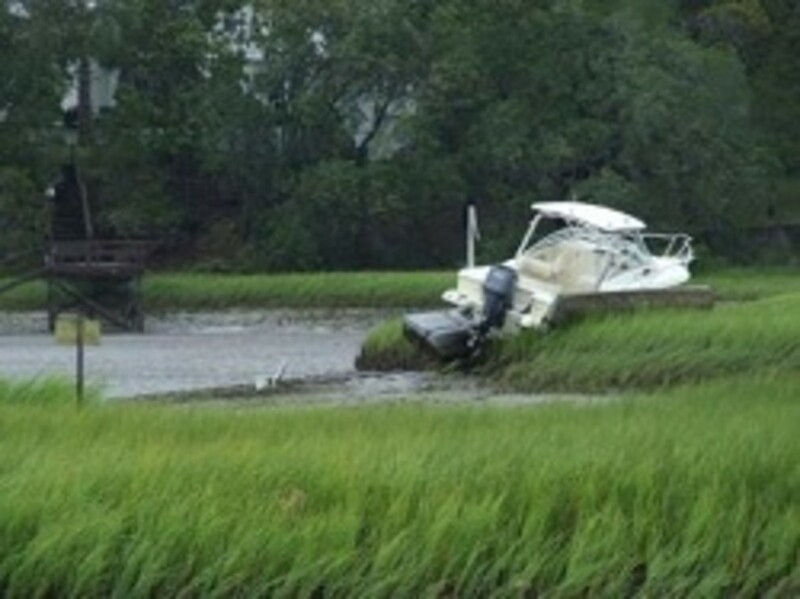 Boats and private docks along the Neuse River in New Bern were ripped away, WRAL-TV reported. New York’s Dennis Conner’s North Cove, a megayacht marina, had 40 yachts in the marina during the storm, and all survived intact. At least 24 deaths were attributed to Irene. Toppled trees, fallen debris and flooding caused hundreds of roads to be closed during the weekend. Up and down the coast, 2.4 million people evacuated, according to media reports. In New Jersey, the ocean surge and rainfall caused severe inland flooding. Gov. Chris Christie said damage there will total at least $1 billion and could reach “tens of billions of dollars.” Virginia&apos;s governor called the blackout in his state the second-largest ever and warned that electricity might not be restored for a week. More than 27,000 people spent Saturday night in shelters opened or supported by the American Red Cross as Hurricane Irene moved up the East Coast. The Red Cross has relief operations ongoing in more than a dozen states and thousands of disaster workers helping people from North Carolina to New England. Millions of people and businesses on the East Coast remain without power today as a result of the hurricane. More than 850,000 FirstEnergy customers in New Jersey, Pennsylvania and Maryland were without power, the company reported. To date, electrical service has been restored to more than 400,000 customers. It was six years ago today that Hurricane Katrina hit the Gulf Coast, destroying communities over a wide path. The estimated death toll ranges to more than 1,800 and property loss is estimated at $125 billion. More than 1 million people were evacuated during and after the storm.